If you are someone who used Kratom in excess and all of a sudden someone walks up to you and asks about the positive stuff about the Kratom? How do you answer and educate them about it? You have to defend it and tell them the reason why you include Kratom in your routine. So the following content is all about it in detail. Since the usage of Kratom is shown and portrayed in a bad angle by the media and even more disparaged by the FDA. It is more common these days that the negative force against the Kratom is getting stronger day by day. Even though the public is unaware of the usage of Kratom and defends the allegations raised against the usage of Kratom. I am not someone who went down the lane and defended the usage of Kratom. There are some people who rescue it by talking about the laws, rules and the science that supports the usage of the Kratom. There are certain regulations which should be obeyed irrespective of the good deeds that arise out of it. But, I would defend the usage of Kratom when someone who is a noob in these terms. There is so many unknown truth that lies underneath which should be unearthed and educated to the people in order to create that awareness about the individuals. Some improvisation is needed in the in the mindset of the people. I took a step for it by bringing up some of the most commonly asked questions about the usage of Kratom. The questions and answers that are mentioned below should be the cheat sheet for you the next time when someone shoots you some questions about Kratom. 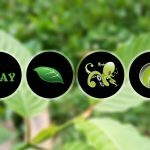 Is Kratom really unsafe to use? My immediate answer to these questions would certainly be a big no. The FDA has released a biased report that states that there is a death toll of 44 due to the usage of Kratom. In fact, they should extend their area of the horizon when it comes to their research. The main cause of death of those mentioned number is due to the usage of hard drugs along with some amount of Kratom. However, when the national institute of drug abuse stated that death was caused because of the usage of contaminated Kratom which in turn became an overdose and lead to the release of poison in their body. The research clearly indicated that some of the dietary supplements were mixed along with normal food. After that report by the NDA, they immediately changed the report in terms stating as “over usage caused death to the individuals”. This is how research is continuing on one side to explore the unearthed values of Kratom. A total of nine scientists wrote a letter to the president of the USA by sharing their expert opinions about the usage of Kratom. So finally when someone asks you these questions, you can go ahead and mention the details explained above. Is salmonella present in Kratom? My answer for this will be a partial yes. So I have to justify my answer right? Here is the reason why I said that answer. When Kratom is consumed in its purest form, it does not contain salmonella in a form. But, it is prone to contamination if it is kept without the usage for a long period of time hence, when you buy it, make sure that you buy Kratom from a verified seller who sells it on a larger scale and performs regular test to its batch every time it is dispatched from the storage unit. There are reports by the FDA claiming that some of the vendors were selling Kratom without proper certifications. Hence, if someone sells Kratom powder which is highly contaminated it will leave to severe health hazards for sure. So the Kratom vendors should keep an eye on the quality of Kratom they distribute to their customers. There are many cases that are found and recently one of the popular snack in the USA called the goldfish was contaminated due to improper storage. As a result of this, lots of kids ended up in the hospital. So it is necessary to maintain the quality standards with the Kratom. So the business owner of Kay Botanicals should make sure that the powder delivered by them is pure and of good quality. Does Kratom come under the category of drugs as projected by the government? Since the government themselves did not care much about the usage of Kratom before the storm by the media. All of a sudden they raised concerns about it and stated it as a drug of concern. However, Kratom is more similar to coffee and it is not a drug for sure. When it is consumed in its natural state, it is just a herbal plant which is as safe as coffee, breast milk, and chocolate. The mentioned things are stuff that the government does not want the general public to know. Last year, there is a report that states more than 64,000 people have died due to the over usage of drugs which were prescribed by the government. That eventually more than the death toll of the Vietnam war. Back in 1964 the Glaxo Smith Kline and French Laboratories jointly applied for a patent claiming that there is an alkaloid that is present in the Kratom which can be used as an anti-opiate. Which indeed tells us that, when Kratom is used in a prescribed amount it can be used to recover drugs addicted people. The University of Massachusetts filed that the Kratom is used to withdraw people from opium usage. This clearly indicates that when a big pharma company tries to file a patent for Kratom, it means that there is an underlying potential in it. The deaths occurred due to the use of prescribed opiates is more than the combined usage of Kratom to date. There is something that should be done after reading the content which explained the benefits of getting Kratom powder by backing it up with the help of science and facts. So please do not sit idle and watch the actions taken by the FDA and government. Instead, get out and spread the knowledge of factual evidence that you gained out of this article in every means. Clear the blinders for the people and educate them about the values of Kratom. So next time when you see the ammo, get back to this page and read it up for them. So the Kratom is still relying on some of the people like you who are interested in knowing the actual benefits and how it can fit into this environment. Previous Post How People Recognize Kratom? Next Post What You Have to Know About Kratom Ban?